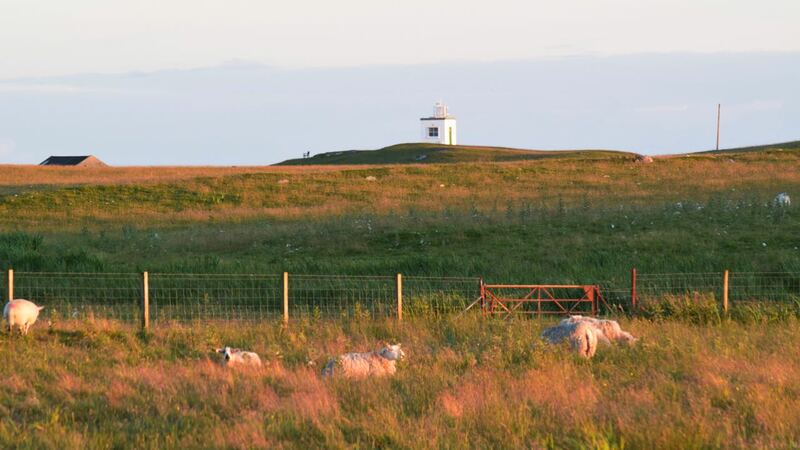 By 9:00pm the sun was casting a golden glow over the island. Shortly after 10:00pm the sun was setting. Then the evening sky was transformed. 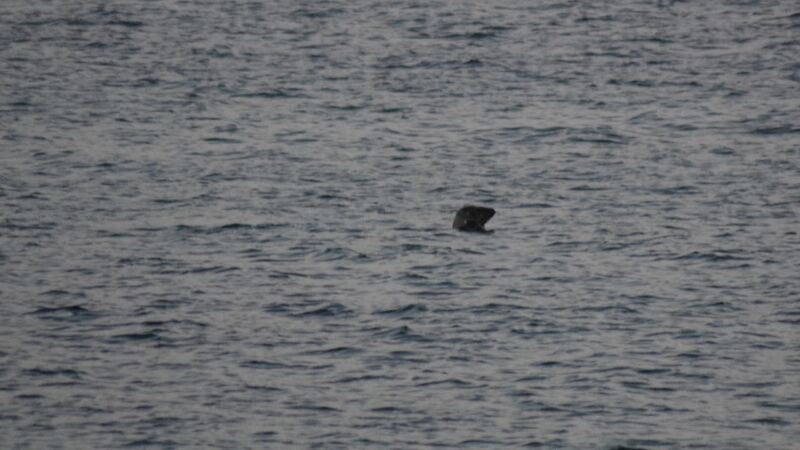 While a lone seal patrols the waters surrounding Scarinish Pier. Unlike West Hynish seals tend to be loners at Scarinish. Occasionally they appear in a group of three. A lone seal at the pier, Scarinish. The Moon had appeared much earlier in the evening. Now it takes on the hue of the setting sun. All around the island the sky takes on the glow of the setting sun. 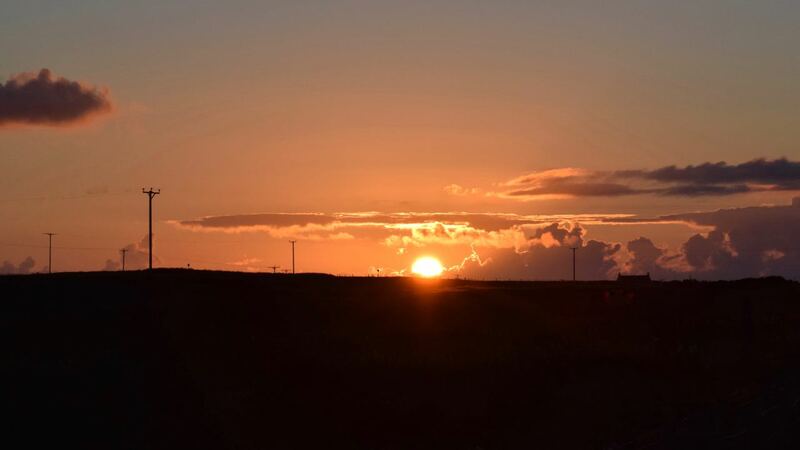 This glow is so typical of sunsets over the Isle of Tiree.